Top Orange County Realtor Cheryl Marquis Featured in OCBJ — Again! Home » News & Press » Top Orange County Realtor Cheryl Marquis Featured in OCBJ — Again! Cheryl Marquis and her home selling skills have made the news again! This time, Cheryl, one of Orange County’s top-producing real estate agents, is featured in the Orange County Business Journal. She recently helped her long-time clients find and purchase their dream home (for more details on this gorgeous San Clemente beach house, click here) and the OCBJ took note. Given the home’s exclusive location and incredible value, and Cheryl’s track record with finding clients beautiful Orange County homes while always negotiating the best price for her clients, the South Orange County home sale was a perfect fit for the OCBJ. 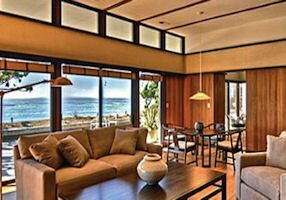 “The ocean-view home at 3830 Calle Ariana in San Clemente’s Cyprus Shore neighborhood sold for $4.2 million, down from $4.5 million in October. The home, which spent about a year on the market, had some major selling points. There were some extra hurdles when it came to making the sale, though. The owner didn’t need to sell, so there wasn’t much of an inclination to budge on price. Another was sentimental attachment. Cheryl Marquis, an agent with Evergreen Realty’s office in Villa Park, represented the eventual buyers, a local couple who bought the home as a future retirement residence. The buyers liked the location and its potential … They saw it as a treasure that was likely to increase in value. The home was viewed by about eight to 10 people, and it received just one written offer. Whether you are interested in purchasing a home in one of Orange County’s more exclusive neighborhoods or working with one of Orange County’s top real estate agents, call Cheryl Marquis today.